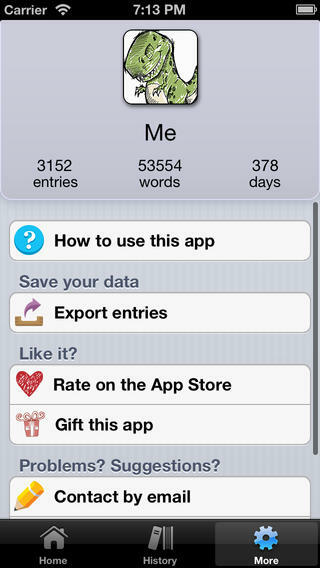 Stenosaur Personal Microjournal is an iPhone app developed by David Charlton / Axe Monkey Software. If you’re interested in keeping a journal with only a minimal amount of effort, this creative new app is well worth checking out. 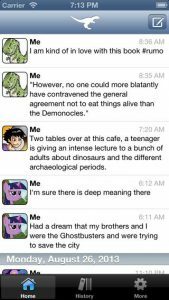 Stenosaur is a bit like stream-of-conscious journalling done Twitter style. 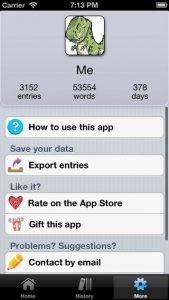 Rather than long entries, Stenosaur Personal Microjournal aims to be the sort of journalling app that is best used for jotting down quick ideas and observations. One thing that is interesting about Stenosaur is that your entries can’t be edited. This makes this a good tool for people who are trying to remove filters and blocks that are keeping them from writing freely. While entries are unable to be edited, you can delete them. Each entry can be delineated from the rest of the pack by using different avatar images. You can use these to indicate moods, or to indicate what topic the entry is to do with. 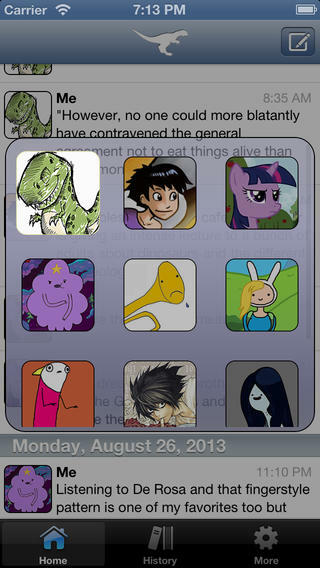 The default image is a friendly dinosaur, but you can add more avatars by pulling from your photo album. Worried about backups? You can restore or back up your entries using your email. This is easily done from the “More” menu on the app. There are some interesting tracking stats here. Stenosaur Personal Microjournal tracks your total number of entries, how many days are covered by your journal, or how many words in total you have penned. 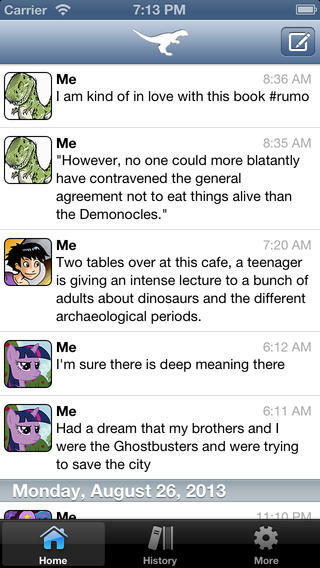 Overall, Stenosaur Personal Microjournal is an interesting app. 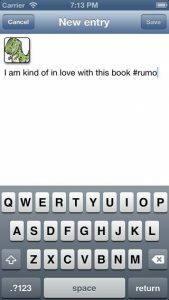 Of interest to writers and diarists of all stripes, this helpful app is an interesting way to jot down little observances or project ideas while you are on the go. Here is hoping that future versions of the app will allow for syncing your entries to other cloud services, instead of just to your email address. Overall, a very nice little app. 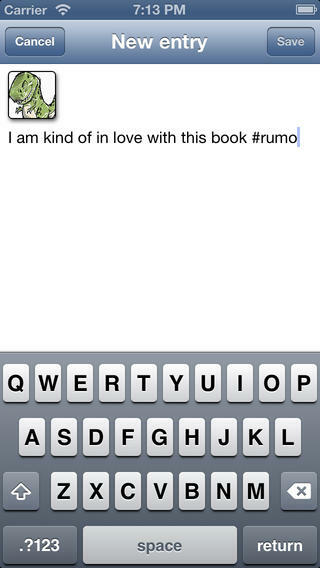 Stenosaur Personal Microjournalrequires iOS 6.0 or later. Compatible with iPhone, iPad, and iPod touch. This app is optimized for iPhone 5.